Dr. Zeke Emanuel thinks that simplifying bills would be a great thing. The better we understand the cost of healthcare, the more steps we would take towards spending less. MARY HARRIS: Hey, it’s Mary Harris, and this is Only Human. This week we’re doing something a little different. We’re going to answer a question — something I think about a lot. Why does health care cost so much? And is there anything you and I can do about it? Health care costs are on my mind not just because I host this show, but because I had breast cancer a couple years back. Being sick was awful, but the bills were worse. I’m still getting them. I’m sure you’ve had some version of this experience. We’ve gotten that unexpected charge from the doctor’s office, or heard about that $50 Tylenol at the hospital. So why does it work this way? I reached out to Zeke Emanuel to find out. He’s the oncologist and medical ethicist who worked with the Obama Administration to shape the Affordable Care Act. And I started with a really basic question. MH: You really like thinking about something that the rest of us don’t like thinking about at all, which is health insurance. Why? MH: I’m just glad she does that too. ZE: Everyone does that. But, we all want it there when we need it, and so part of my responsibility is let’s create a system where most people have what they want without too much thinking, and then it’s us policy wonks’ job to make that happen. MH: Okay, so a couple of things to notice. First of all, even Zeke Emanuel isn’t excited about health insurance for the sake of health insurance. And second: we collectively spend so much money on healthcare that it affects everything else. 18% of GDP is a whole lot of money. And so I wanted to know: what can we regular people like you and me do about that? MH: I want to walk you through a little bit about sort of how you think about cost, because I think a lot of people think about insurance and sort of just throw up their hands like “This is so complicated, I don’t get it,” so I want to talk about how we can be better users of healthcare. From your viewpoint, we’re better users if we’re using kind of a little, right? ZE: Prostate cancer… Oh, uh, that, true. I’ve gotten two PSA tests through no fault of my own. 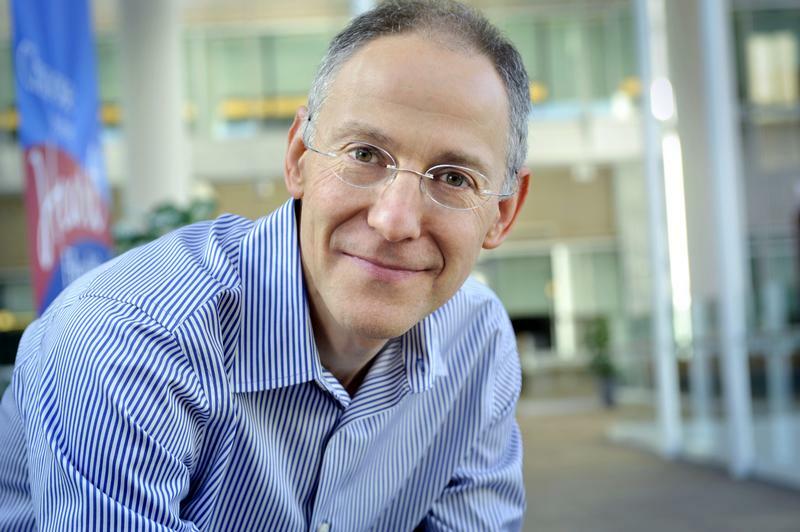 MH: This story about the PSA test is one that Zeke Emanuel tells a lot. He decided he doesn’t want it. And he has good reasons. It prevents a very small number of deaths, and it results in a lot of overdiagnosis. Some doctors disagree with him, but he sees it as a totally unnecessary expense that can lead to even more costs. Not getting the PSA though? It’s turned out to be difficult, even though Emanuel has told his doctor he doesn’t want it. ZE: Correct, correct. Look, I mean, this is the — I’ve written about not getting the test. I’ve been very staunchly against the test. And twice, I’ve gotten the test. I’m not a wallflower and I say, if I get the test in these circumstances — in some ways forced to get the test in these circumstances, it’s very hard for the average person not to get this test. MH: To be clear, Emanuel isn’t on a crusade against medical testing. He just thinks we should be data-driven, and only get the tests that actually do some good. ZE: Now, there are other preventative services which I think are very valuable. A colon cancer screening and having a colonoscopy, after the age of fifty. For women — pap smears, incredibly valuable tests. Getting immunizations. We know they’re extremely valuable for the individual and for society as a whole. We have something called the United States Preventative Services Task Force, which is a group of independent experts looking at all these tests and procedures and evaluating them and grading the level of evidence on them. And, you know, I’d actually encourage — if any one of your listeners has any doubts about any of these tests, it’s worth going to that source, and looking at what their view of various tests are. MH: But ok, so the Preventative Services Task Force says, “Don’t get the test.” Your doctor somehow orders it anyway. You don’t even want it. How do we fix it? ZE: Well that I think is a — that is clearly a systems error at, the hospital that I went to get my blood drawn. These are built-in, ordered without discussion with the patient. And that, I think, was a serious mistake. MH: But you… It must happen to lots of people if it happened to you. MH: And all of this is really expensive, right? ZE: Oh there’s no doubt that we have a very, very expensive system. We have an expensive system for lots of reasons, some of which are unnecessary tests and treatments. Some of which are very high prices, like high drug prices, high prices for hospital days. Some of it is administrative inefficiency. We have more than enough reasons for our high prices. Unnecessary tests is — it’s a big one, it’s probably the dominant one, but it’s not the only one. MH: And I think people kind of, when they have health insurance, they think: well of course I should get this test, I have health insurance, I’m paying for it. ZE: Yup, that’s a very common thing: I’m paying for it, I oughta get it. And I think you need to step back and say, “Well, is it really worth it?” in any serious sense. Both worth it from a money standpoint, worth it from a health and inconvenience standpoint. MH: Do you have any estimate on how much money is wasted on stuff like the PSA test? ZE: Well, we have some estimates about how much is wasted on unnecessary tests and services in this country, and it’s about $200 billion. And part of the problem is the psychology in America is more testing has to be a good thing. And I think many of us who are in the system understand that more testing isn’t always a good thing. And sometimes it’s actually can be a bad thing in that it can lead to additional tests or a lot of worry that was totally misplaced. MH: I know exactly what he’s talking about here. When I was diagnosed with breast cancer a couple of years ago, two of the three specialists I met with said I needed an MRI — an expensive scan — just to be sure the cancer wasn’t somewhere else. Eventually, I did do the test. It was a scary time, and I had insurance, and two doctors were recommending it. And you know what? It played out exactly the way that third specialist said it would: four different spots looked suspicious, meaning I had two more MRIs, and three biopsies. And ultimately, none of it was cancer. So, if we’re looking for something that we all can do better as consumers of healthcare, this is a big one: we should get fewer unnecessary tests. But like so many aspects of healthcare, that’s largely out of our control. At this point in the interview I pulled out a prop. The thing that makes me feel most powerless about the cost of healthcare in my own life. MH: Ok, can I show you something? Um. ZE: Hopefully not a quote of mine which has been disproven. MH: It’s not baffling, but -- medical bill. MH: I got it last year. MH: We’re looking at a hospital bill — an extensive list of incomprehensible codes and procedures. When it arrived, I pored over it, trying to understand all of the charges. They added up to $65,000. I was on the hook for $1,600. MH: And I feel like, I have a college degree, I should understand this. And I didn’t. ZE: Yeah, yeah. Well so let me, let me just say, uh, Mary, I have an MD and a PhD and this is all Greek to me too. It doesn’t prepare you to read a bill. And yes, all of these things are like, hmm, I can’t figure out...there’s a lot of two-four-four-two, uh, here. MH: And I feel like, if we want patients to start thinking about cost, we can’t send them these bills. ZE: I certainly agree with you. These are literally incoherent even to well-educated people. I recently went through some physical therapy and I would get these bills that would vary drastically — and I...and every time I went in there I thought I got the same treatment, but...and clearly they were billing very differently for what, at least on the patient side, and a pretty well-educated patient, seemed like the same thing. MH: Simplifying bills, Emanuel says, would be a great thing. If we all better understood the costs of healthcare, maybe we’d take steps towards spending less. He mentioned a version of this that’s happening already — where patients are being asked to take price into account for discretionary care like knee replacements. ZE: I think one of the things we can do is what’s been tried out in California, which is called reference pricing. MARY: That is serious vocab. ZEKE: Yeah, you can get your knee replacement anywhere in New York City. We, the insurer, we’re gonna pay, pick a number, $21,500 for it. And here by the way is a list of places that’ll take that $21,500 and we think will do a very good quality job. You go to a place, you know, university hospital X, or other speciality hospital Y, and they charge you forty-two thousand dollars. That difference? You’re gonna pay for that. ZEKE: That will do two things: first it’ll incentivize you to do a little shopping on a discretionary item. And second, it will send a signal to those hospitals that are charging the high amount, and they will drop their prices. MH: Remember, this is just for elective treatment. No one would make me shop around for cancer therapy, or emergency care. And this is just one example of the way Zeke Emanuel thinks we need to change incentives in the healthcare system. Another is the way doctors are paid. ZE: You know we have a system that incentivizes doctors to order more tests, hospitals to use more services, because they get paid fee for service. ZE: My typical example — they may not like it — is urologists don’t get paid for not taking out that prostate. ZE: If they don’t take out the prostate, they don’t get paid. Now that’s not a very good system, because then on marginal cases you’ll take out the prostate cause you’re gonna get paid that way. What we want is a system which is not focused on treating people and so we pay only when they’re sick, and we treat them. You want a system that’s focused on keeping them healthy and you’ll make money if you keep them healthy and out of the hospital, out of the emergency room, out of the specialist office. MH: Are doctors even trained to do that? ZE: No, we have not actually. That’s a very good point. We have trained doctors to address problems as they come up, rather than to anticipate the problems and really begin to try to prevent them from getting worse. So as I like to say, one of my standard lines is: look, the key to saving money on health care, the key to actually having higher quality care, having patients actually do better, is prevention. Now most of us think prevention; vaccines, that colonoscopy, and that pap smear. I mean prevention of people who have a chronic illness — preventing them from getting sicker. And that is the key, because those are the people using a lot of health care services, they have an illness, but we need to keep them from having an exacerbation of that illness. That’s gonna be the key going forward. MH: We started out with a question: is there anything you and I can do about the high cost of healthcare? The short answer, unfortunately, is not really. We can ask ourselves questions. Do I really need that test? What can I do today that will keep me healthy — instead of just keeping me from getting sick? But Zeke Emanuel wants us to move towards a more accountable system where costs are more transparent. And all of us — doctors, hospitals, and patients — have a reason to care about cutting healthcare costs. MH: One thing all of us should be doing to keep ourselves healthy is exercising. Maybe you’re hoping to workout more in 2016. And we’re going to help you with that. Only Human is teaming up with Dan Ariely, the behavioral economist. He wants to help all of us do a better job of keeping our resolutions to exercise… And he’s going to study us to see what works. We’ll have all the details in next week’s show. But to learn more, go to our website at onlyhuman.org. Check it out. Only Human is a production of WNYC Studios. This episode was produced by Molly Messick. Our team includes Amanda Aronczyk, Elaine Chen, Paige Cowett, Kenny Malone, Fred Mogul and Kathryn Tam. Our technical director is Michael Raphael. Our executive producer is Leital Molad. Jim Schachter is the Vice President for news at WNYC. I’m Mary Harris. And I’ll be back with more next week.